Liverpool are sending scouts to Moscow tonight to watch Turkey central defender Caglar Soyuncu take on Russia in a friendly today, according to our friends at Turkish Football. 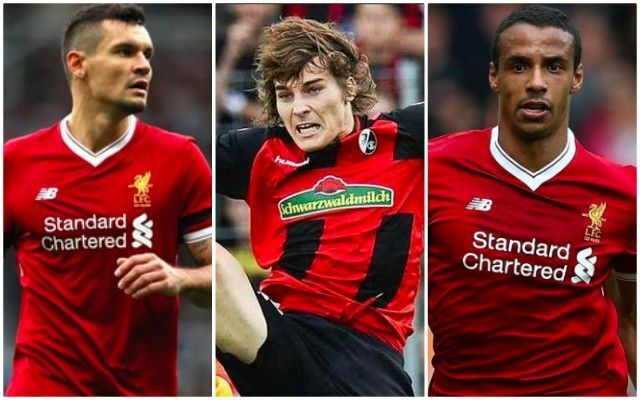 Their report claims a source close to Freiburg, for whom Soyuncu plays, says Liverpool have already an enquiry for the 22-year-old, who starred in the Bundesliga this term. The Telegraph, who also suggest Arsenal have been checking Soyuncu out, state that £35m may be enough to convince the German club to sell. Liverpool have one of the world’s best centre-backs in Virgil van Dijk already on our books, and a number of players looking to cement the spot alongside him. Dejan Lovren did well towards the end of the season, but long-term doubts about his suitability remain in some circles due to his ability to make glaring, game-changing errors. Joel Matip is decent, but injury prone and endured a poor season, actually, while Ragnar Klavan has issues with illness and Joe Gomez is still untested. Soyuncu would certainly add another dimension to this mix, although we wouldn’t say he’s an automatic upgrade on what we currently have. Stylistically, he intercepts balls and defends on the front-foot, much like Lovren.